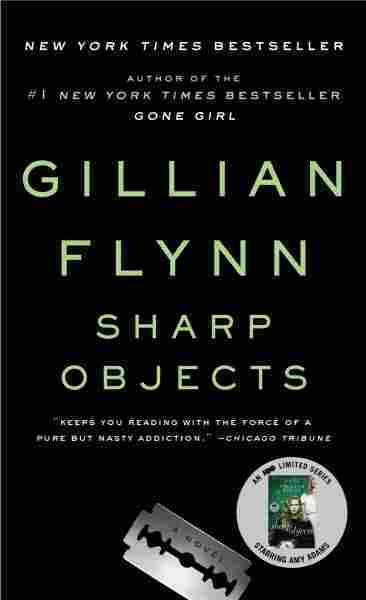 Gillian Flynn's 'Sharp Objects' Is A Whodunit ... And A Who Is She? Amy Adams stars as Camille Preaker in the HBO adaptation of the mystery novel. Flynn helped adapt the book for the screen, and says the story is a murder mystery wrapped around a character study. Amy Adams plays Camille Preaker in the HBO adaptation of Gillian Flynn's mystery novel Sharp Objects. "What I really wanted to write about was the darker side of the female psyche," Flynn says. "You know — female violence and female rage — what made us do bad things, why we messed up, why we became violent and particularly what that looked like generationally." That desire led Flynn to create the character of Camille Preaker, a reporter struggling with depression, alcoholism and a history of self-injury and cutting. Camille's newspaper editor sends her back to her Missouri hometown to cover the stories of two girls — one missing, one murdered. The assignment lands her back in a world dominated by her mother, a southern belle of the iron butterfly variety. Flynn describes her book as a murder mystery wrapped around a character study — not just a "whodunit" but also a "who is she?" The novelist wants the audience to be as interested in understanding Camille as they are in unraveling the mystery. "You start learning that there are certain secrets and awfulness that happened to her all throughout her childhood," Flynn says. "And there are certain things that she has never wanted to look at too closely. ... She inflicts this violence, this anger and this hatred upon herself." Jean-Marc Vallée, the director of HBO's Sharp Objects adaptation, says Flynn has created a singular story and a singular character. "I've never met, never seen, never heard anyone like Camille Preaker ... " he says. "It's pretty rare ... to hear someone being that honest — someone that talks about her wounds, her insecurities, her fears, her scars, her sexuality." The screenwriters, including Flynn, deliberately decided not to use a voiceover for Camille. Instead the audience sees flashbacks — shards of memories that only gradually come together to create a fuller picture of the past. As Camille's past starts to merge with the present she begins to unravel. Vallée says it can be tough to watch a character you're rooting for make a series of bad decisions. "We want to tell her sometimes: Don't do that!" Vallée says with a laugh. When she invariably does it anyway, the director says, "we still care for her because there's something about her that is so human; her humanity is deeply moving." Sharp Objects is full of complex female characters — but Flynn says as interested as she was in exploring the dark side of the female psyche, she never lost sight of one thing: "It's also a really juicy detective story ..." she says. "I've never, ever had a problem entertaining people." Because Sharp Objects is an HBO production that also involves well-known Hollywood players, it has drawn comparison to HBO's Big Little Lies, which was also directed by Vallée. But Flynn says they really have only one thing in common: Very talented women drawn to telling stories about flawed and fascinating women.